On September 14, 2018, the Marqués de Larios street of Spain in Malaga was covered in blue giving place to the first day of the eighth edition of the Larios Málaga Fashion Week with 2 days to celebrate fashion and high couture. Where exceptional designers from all over the continent show their works and collections on the longest couture catwalk in Europe. The weather was not the best ally of the Malaga designer Javier Alcantara, who could not present his new Kabuki collection, which shows a more sophisticated version of his style and pays homage to the 23 years he has been in the industry. However, he still received, the deserved “Alfiler de Oro Pasarela Larios Málaga Fashion Week 2018”, from the hand of the Deputy Mayor and Councilor, Elisa Pérez de Siles and Pepe Cobo, founding partner of El pimpi. On the next day, the event was opened by the Tenerife designer, Juan Carlos Armas, closing this eighth edition with the presentation of Ágatha Ruíz de la Prada. Pasarela Larios 2018 counted with the participation of the firms Rafael Urquízar Alta Costura; Leo Norma Woman and Livia Montecarlo; as well as the designers Montesco, Abraham Zambrana, Angel Palazuelos, Juan Segovia, Sandra Rojas collections, Gemma Melé, Leo Norma Man and Javier Alcántara on its first day. Likewise, on the September 15th the day began with Juan Carlos Armas, Dunnes Stores with the signatures Savida and Gallery; and counted on the designs of Lucas Balboa, Hind Iraqi Caftan, Banana Moon, Ewaiso, Mario Teo, Impeccable Modas, Sixteen One, Mann and Ágatha Ruiz de la Prada. 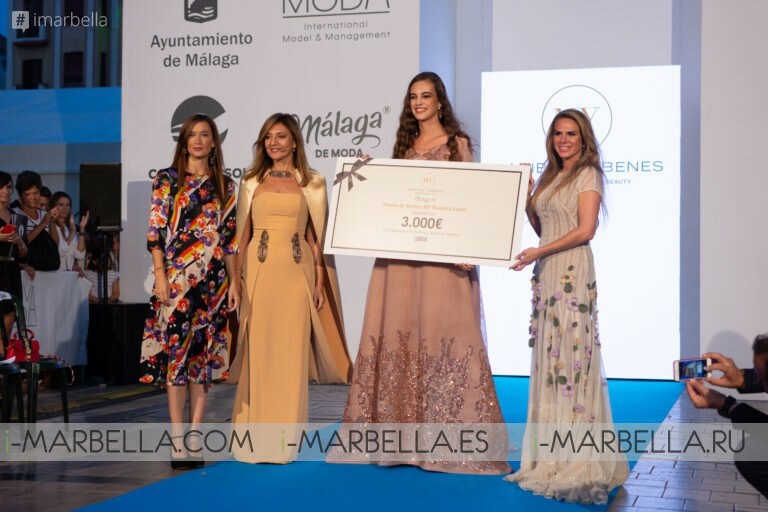 For her part, Carmen López, owner of the firm Mann Ceremonia y Sastrería, has received on behalf of the organization of Pasarela Larios Malaga Fashion Week, the award for the revelation company in Malaga, specializing in groom, best man and companions. Pasarela Larios Malaga Fashion Week, with more than 300 meters in length, congregates more than 15,000 people every day. A point of reference for national and international fashion. In its 6th edition, it has been positioned as a cultural and tourist event of the first level. An event that aims to support trade and the local economy, providing a space in which creators can show the latest trends and novelties of their collections directly and close to the public.